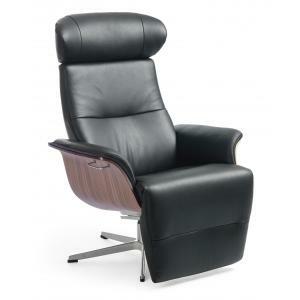 The perfect relaxing lounge chair features a fully reclining back and fold-out leg rest and it is all upholstered in soft comfortable leather with a walnut shell. It also has an height adjustable headrest and a swivel that returns to front position. The adjustable backrest uses a lever with a simple grip to easily recline and adjust. The chair swivels around but always returns to its original position. It is a midcentury modern style using organic walnut wood and updated for the best in quality and comfort. The Timeout modern recliner lounge chair is hand-crafted in Sweden and uses the best materials like memory foam cushions, high grade leathers, and walnut molded ply. 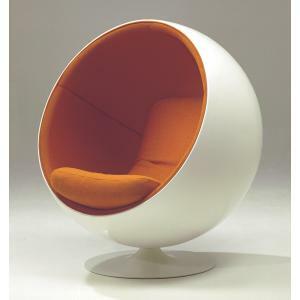 The seat shell is molded bent ply which is very durable and first used in the modern midcentury era. 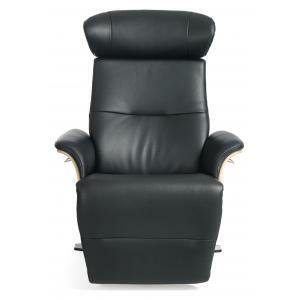 The upholstery can be either high-grade leather, plush and soft sheeps wool, or durable fabrics. 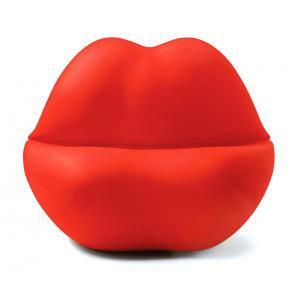 It's a beautifully detailed and well crafted modern lounge chair with the best European materials and craftsmanship. This model is STOCKED in the USA for a quick availability. The other models are made to order and come in from Europe.